Tortola, British Virgin Islands, September 15, 2015 –The British Virgin Islands Tourist Board (BVITB) is excited to announce the upcoming second annual BVI Food Fete, a month-long culinary event that celebrates the culinary offerings and experiences of the BVI. Featured along the exquisite backdrop of this mountainous archipelago, visitors can expect a one-of-a-kind dining experience as they island hop around the BVI. The newly revitalised Queen Elizabeth II Park on Tortola is the prime setting for this exciting event. 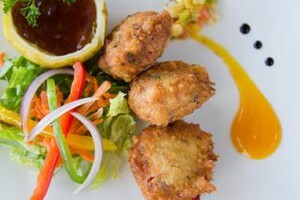 To highlight the various cuisines served within the British Virgin Islands, some of the top restaurateurs, chefs and mixologists will be on hand to feature their mouthwatering dishes and cocktails. Attendees can sample tantalising food from 15 restaurants and incredible wines while enjoying the entertaining vibe set along the water’s edge. The Taste of Tortola events will include a Demonstration Kitchen where attendees can observe chefs preparing and cooking a selection of appetising local and international dishes. The Fish & Fungi Competition highlights the national dish of the British Virgin Islands with tastings offered from the winner’s version of this classic meal. The Mixologist Competition will feature top BVI bartenders as they showcase their talents in the fast-growing cocktail scene. Guests can enjoy live performances by popular BVI bands, musicians and DJs. The Foodie Photo Booth is a fun new feature to entice attendees to take photos next to over-sized culinary items. Attendees will be able to cast their vote during the events for awards to be presented throughout the night for Tortola’s Favourite Restaurant, Best Booth, Best Food, Best Drink, and more. This exciting bar crawl will take place on Jost Van Dyke. Participants will peruse the bars on the island with each bar within walking distance of the next. An exquisite culinary event and fundraiser set under the stars upon the powder white sands and azure shores of Deadmans Bay at Peter Island Resort & Spa. The evening offers a quintessential experience for epicureans as local and international chefs prepare their signature dishes at food stations. The event provides guests with an opportunity to mingle among fellow food connoisseurs and tastemakers within a festive atmosphere with live entertainment. Wine pairings and delectable desserts will be prepared by accomplished pastry chefs. Featured chefs include: New York Chef Kristin Sollenne of the Food Network; Chef Antonio Soriano of Argentina; Chef Bastian Falkenroth of Germany; Chef Todd Howard of Peter Island Resort & Spa; Chef Davide Pugliese of Tortola; Pastry Chef Gorvey Henry of Tortola; and Pastry Chef Erika Dupree Cline based on Tortola. Funds raised from this event will be used for a scholarship donation to a student in the BVI who wishes to pursue a degree in hospitality and tourism. Nail Bay Sugar Ruins offers a rustic touch to this tranquil evening. Chefs and mixologists will be on hand to feature their mouthwatering dishes and cocktails. Attendees can sample scrumptious food from 7 restaurants and incredible wines while enjoying the colloquial sounds created by a jazz band. The Chef Cook-Off is one of the most exciting elements of the night as attendees gather to witness two of the BVI’s most skilled chefs compete for the best chef title. The Foodie Photo Booth is a fun new feature to entice attendees to take photos next to over-sized culinary items. Guests can sway to the sounds of jazz performed live by popular BVI jazz musicians. Attendees will be able to cast their vote during the events for awards to be presented throughout the night for Virgin Gorda’s Favourite Restaurant, Best Booth, Best Food, Best Drink, and more. This exciting bar crawl will take place on Virgin Gorda. Participants will be transported in party safari buses to bars around the island. Visiting chef Roshni Gurnani, Executive Chef and Culinary Chef instructor at the Art Institute of Houston returns to provide her knowledge and expertise to the students studying culinary arts in the BVI. Throughout the week, Roshni will provide instruction, workshops, demonstrations, and interactive lessons to familiarise students with the insight needed to navigate their way through the hospitality and culinary industry regionally and globally. This exciting bar crawl will take place on Anegada. Participants will be able to barhop along the beach strip. The Anegada Lobster Festival is for everyone who loves food, loves lobster, loves the Caribbean and dreams of the British Virgin Islands! The two-day culinary event will be held on the shores of Anegada on November 28th and 29th. Talented local chefs will be on hand to prepare, cook, and serve plated sample lobster dishes at 11 participating Anegada restaurants. Attendees will embark on an island adventure that takes them on a culinary journey via safari, scooter or rental car. Along with spectacular sightseeing, great food, drink, and a sunset party, attendees will have a unique Anegada experience unlike any other in the Caribbean. o Special ferry ticket prices will be available for purchase for transport on ferries from the USVI, Tortola and Virgin Gorda to Anegada for the events. o Special rates for hotels and charter yachts will be available for bookings. An archipelago comprised of 60 islands and cays, the British Virgin Islands (BVI) are located approximately 50 miles east of Puerto Rico, in the northwestern region of the Caribbean Sea. 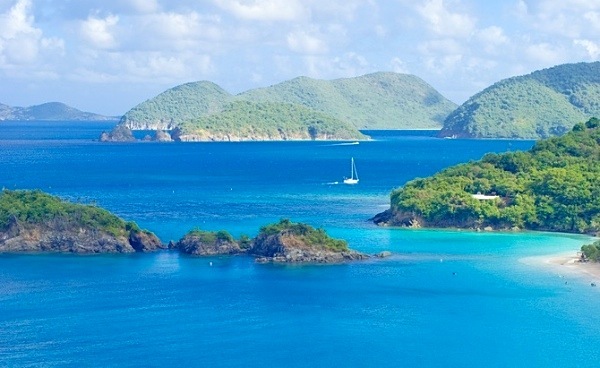 The main islands are Tortola, Virgin Gorda, Anegada and Jost Van Dyke. Road Town, located on Tortola, is the British Virgin Islands’ capital. Renowned as one of the world’s premier sailing destinations, the BVI’s dynamic and vast topography provides a unique opportunity to “island hop” with ease — with each island characterized by its own cultural and natural wonders. Among these attractions are The Baths on Virgin Gorda, Anegada’s Flamingo Pond, White Bay on Jost Van Dyke, and Tortola’s Sage Mountain. Destination highlights also include world-class yachting, snorkeling, hiking, sustainable tourism and, for diving enthusiasts, the Caribbean’s most stunning wreck dives, such as the RMS Rhone. A pristine and romantic island paradise evoking a bygone era, the British Virgin Islands are nonetheless easily accessible for U.S. travelers flying into Tortola/Beef Island’s Terrence B. Lettsome International Airport (EIS) via frequent connecting service from nearby Puerto Rico, St. Thomas, Antigua, St. Kitts or St. Maarten/St. Martin. Visitors traveling to the BVI from St. Thomas can also travel via ferry. Despite its status as a United Kingdom territory, the BVI conveniently uses the U.S. dollar as its official currency. For more information on all that the British Virgin Islands have to offer, visit the official BVI Tourist Board website at www.bvitourism.com or contact 1-800-835-8530.